When I first heard about product placement, that was some 15 years ago, I found the fact that the first product placement was Jack Daniels whisky in Mildred Pierce, a movie from 1945. Do you think it was a real product placement deal or just a coincidence? I think it is safe to assume that this was not official product placement. The advent of shameless brand promotion seems to have ramped up in the 80s and 90s. In the case of Mildred Pierce, I’m willing to bet that the bottle was either laying around on set, or a prop guy brought it from home. Seriously. Product placement has become an integral part of the majority of modern Hollywood and TV production. How do you see the role of alcoholic beverages (and especially spirits) in that field of movie business, taking into account that its main target group are adults. When done right, it can actually add depth to the story. I’ve literally studied hundreds of spirit sightings on screen and often notice specific characters ordering the same brand at different points in a film or through a TV series. One which comes to mind is Dimple Pinch in AMCs Breaking Bad. Walter White keeps a bottle at home and pours himself a glass of it to celebrate vanquishing an enemy. Years later he orders it in a bar. It’s a very subtle way of telling the audience that Heisenberg is a Dimple man, or Tony Soprano is a Glenlivet man, or Ron Swanson is a Lagavulin man. The brand becomes part of the character’s back story. Similar to the kind of car he drives or his favorite sports team. On the other hand, when done sloppily, it can throw the audience off. Like when you see a billionaire drinking Red Label or J&B. Nothing against those brands, but it’s like seeing Donald Trump riding the bus. How would you define a great and on the other hand bad product placement of spirits? A great one is harder to define because they are so rare. But I suppose if the placement makes sense for the scene or the character, then it’s perfect. There are occasions where it is obvious that the product placement came first, then the writers backtracked to try and make it fit into the scene. But on rare occasions, I’ve come across scenes where it seems like the writer needed to find that perfect product that would fit the scene, and not just any product would do. It had to be something refined, or sophisticated, or cool, or whatever the situation called for. BAD: This appearance of Bowmore from the TV series Leverage always rubbed me the wrong way for some reason. Perhaps it’s because they seem to be shamelessly mentioning the brand, perhaps it’s because they don’t even show the bottle, or perhaps it’s because 50 year old Bowmore doesn’t even exist as far as I know. BAD: These sightings of Johnnie Walker Black Label in Tinker Tailor Soldier Spy. I thoroughly enjoyed the movie but expected to see a more obscure bottle. Especially in a story which seems to be driven by acting and character as much as plot. Johnnie Walker is one of my top 5 favorite brands of scotch, but I have to admit that it is the Dane Cook of whisky. Anyone with even a passing knowledge of whisky has heard of JW or sampled it. Therefore I assume a film about seasoned British spooks would incorporate an old GlenBlahBlahBlah or a rare bottle or Port Whatever. Black Label is by far the most featured whisky in film and television. I love seeing it, but I often chock its appearance up to a lazy art department. GOOD: Macallan 25 seen briefly in Arbitrage starring Richard Gere. This one makes sense for the scene and character. A billionaire investment banker whose world is crashing down around him finds himself alone with his thoughts for a moment. He likely would keep a few bottles of choice spirits (expensive or otherwise) in his study or on his liquor cabinet and at a time like this, it stands to reason that he would reach for the Macallan 25. A bottle would set you back about $1000 US and it is worth every penny. Good job for the prop supervisor on this one. GOOD: The 40 year old Bruichladdich sighting in the movie Morning Glory starring Harrison Ford. I happen to know that Mr. Ford is a died in the wool scotch lover. He’s been seen drinking different brands in 6 or 7 movies featured on Scotch Cinema so far. For him to be seen drinking something this sophisticated tells the audience a lot about his character without compromising the film’s integrity. Of course a weathered anchorman who is stressed out at work would keep a 40 year old Bruichladdich as his in-case-of-emergency bottle. I know I would. What is in your opinion the most memorable product placement in movie history? I can only speak from my own personal experience. There has only been one example of product placement which actually got me to go online and find the product and then purchase it. The movie in question was Iron Man II. I’ve been told that Iron Man II had the most paid product placement in history up to that point and that it was later usurped of the title by Skyfall. The item I saw in the film was the KOR-One Hydration Vessel water bottle. I saw Tony Stark drinking from it and thought to myself that “I MUST have it”. When I left the theatre I googled “Iron Man water bottle” and learned everything there was to know about it. I have since purchased half a dozen of these water bottles for myself and my wife. Simply because I saw it on screen for 3 seconds and later became strong advocate of the product. If I think of a better example I’ll get back to you. How does the fact that music artists became brand managers and/or owners of brands of vodka, cognac, tequila … affects integration of brands in music videos? Do you think it has an influence on sales? If so, how big is the influence? I think it has an influence on sales but it’d be difficult to quantify how much without analytics. Two things I see more and more in music videos are tech products and cutting-edge fashion (clothing, hair, and make-up) trends. The latter being a long lasting tried and true staple. Lots of close ups of the latest camera, smart phone, laptop, or tablet seem to pop up in videos from Britney to Katy Perry lately. I like the fact that this phenomenon is on the wane in hip hop, however. Beginning in the late 90’s and lasting more than a decade, hip hop’s artistic and cultural integrity began to erode because of a reliance upon branding. The heart of this art form was based upon how great you were at rhyming about clothes, cars, guns, champagne, etc. as opposed to simply mentioning them for the sake of boasting. To put it more clearly: the thing you talked about was less important than how you talked about it. I think a turning point was the release of the song and video for On to the Next One by Jay Z. The song is a brilliant minimalist mandate in which he challenges himself and his contemporaries to transcend the status quo and move on to more substantial content as opposed to making yourself a billboard for companies which might put some cash in your coffers today, but who ultimately don’t care about you or your culture. The video is black and white avant-garde imagery which turned out to be a game changer. Looking back at the last 4 years of hip hop videos you’ll notice that you see a lot less throwback football jerseys, sneakers, sports cars, liquor bottles, jewelry, etc. The paradigm shift may have been coming anyway, but Jay Z definitely was riding in front of the pack. These statements were relatively unheard of from a mainstream rapper, but look at people like Eminem, Kanye West, even Lil Wayne now as opposed to pre-2009. Back then they were bright, colorful walking advertisements for brands like Nike, Adidas, Ralph Lauren, Louis Vuitton, et al. Nowadays it’s black leather jackets, black jeans, or suits. Even the product placement has become a post-modernist teardown of the product itself, to a certain extent. The one fancy car in the Jay Z video gets vandalized with spray paint. Another video by Jay Z and Kanye West for the song Otis features them ripping apart a $400,000 Maybach Mercedes Benz and reassembling it into a distorted grotesque Frankenstein version of its former self. All the while they are smiling and wearing jeans and white t-shirts with the American flag as a back drop. All this to say that shameless product placement has its place in pop music, but hip hop had a lot of its soul destroyed by it and some of the artists may have learned a lesson from it. Or maybe it’s just another trend. Either way, I personally love it. To answer your question about artists as brand managers or ambassadors more specifically, I can only assume that the vast majority of artists have little to do with the product development. I suspect they treat it as a side job or a quick cash grab and that’s sad. Again, it depends on the performer. Justin Bieber or Demi Lovato can sell whatever they want because they literally have zero artistic credibility. But when an actual artist pushes some perfume with their name slapped on it, it strikes me as desperate. For an amazing (but sometimes erratic) explanation of branding from an artist’s point of view, I highly recommend watching this BBC interview with Kanye West. You’ll likely never hear a musician be so honest and candid about the subject of artist branding. The whole video is amazing but the pertinent stuff starts at 4:40. During the last 12 months people often discussed the decision to include Heineken beer in Skyfall, the last James Bond movie. What do you think about that decision: was it bad for Bond, for the franchise or something blown out of proportion? It was barely noticeable. I think I remember he wakes up in a foreign land and has a Heineken at his bedside or something. I hardly expect 007 to have a martini (shaken) within arm’s reach at all times. It stands to reason he may grab a cold one once in a while. I was fine with it. You’ve been scotch-spotting since 2011. How did you even come to the idea of writing a blog? What are some key findings from the last few years: has product placement of alcoholic brands evolved or does it stagnate? In early 2011 I went the local cineplex to see The Lincoln Lawyer starring Matthew McCoughnahey. There was a scene where he was drinking a bottle of Balvenie and I had to lean in to read what the brand was. This had happened to me countless times in the past as a scotch lover. After the movie I went home and searched online for other sightings. I discovered an insane amount of forums and comment sections, and Facebook pages where people were discussing scotch in film but there was no dedicated website. Once I realized that there were hundreds or thousands of other maniacs like me out there I decided to create Scotch Cinema. The type of scene in which scotch is typically shown has pretty much stagnated. The most commonly overused trope on screen is to begin the scene with a close up of the glass. 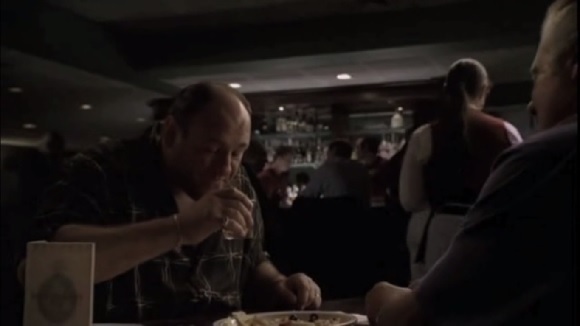 In the case of television shows, the often come back from commercial with a fade-in close up of an empty glass. In both cases the camera pan out to a wider shot which reveals the actor pouring the scotch from whatever bottle he’s chosen into said glass. Then he either hands it to his co-star or sips in himself. Having said that, there have definitely been more and more appearances in the last few years, especially on TV. I literally have dozens of scenes waiting to be published but very little time due to work related travel and family obligations. Keeping up with all of the recent sightings would be tantamount to a part time job. When I first started Scotch Cinema I worried I wouldn’t have enough sightings to last 2 or three months. That was 2.5 years ago and I’m actually up to my eyeballs. There are so many sightings that I’m often surprised when I don’t spot a brand in a movie or show. 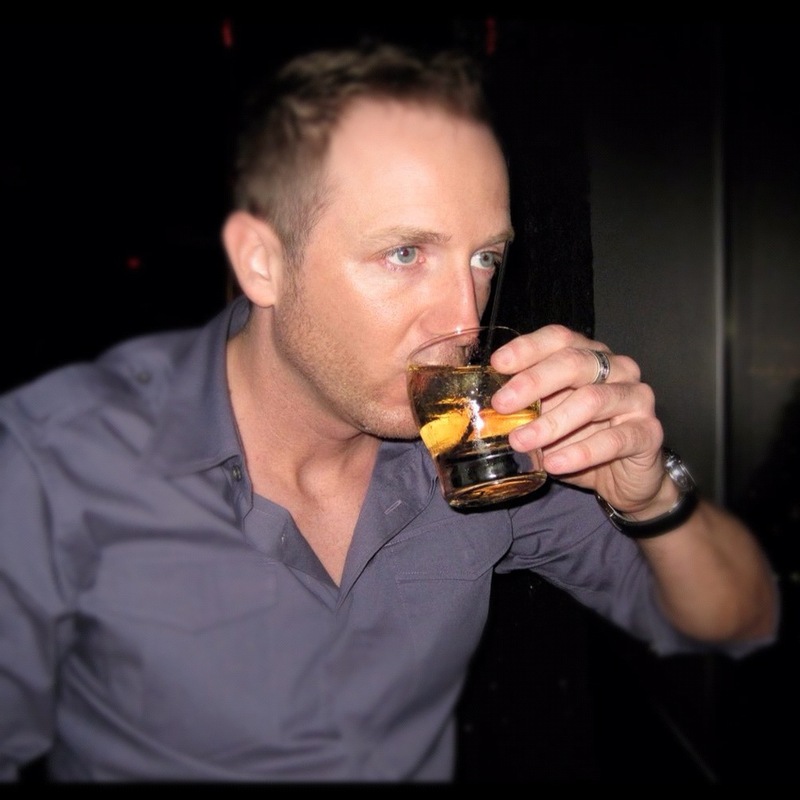 Curtis MacEachern is the owner of ScotchCinema.com. “I’m from Cape Breton Island in Nova Scotia, Canada. Currently living in Ottawa with my wife and one year old daughter. I fell in love with scotch whisky only about 6 years ago. I walked into a somewhat upscale club with a group of friends one night and ordered a “scotch and soda” from the bartender for some reason. I’d never ordered it before and always drank beer or vodka. The words scotch and soda just came out of my mouth and I have no idea why. I’m not a big drinker and I’d honestly say I only get drunk 2 or 3 times per year. The bartender said “Oooooh a fellow scotch lover! I have a special bottle right here for you then. I won’t insult you with just any old bar scotch”. As soon as I sipped it I was instantly won over. I couldn’t believe that I had been wasting my time with other kinds of spirits when there was something this amazing out there. I’m not sure what particular kind he gave me but I now suspect it was Johnnie Walker Blue Label. In no particular order, my favorite scotches are: Macallan 18, Ardbeg Ugedail, Jura 10, JW Black label and Glenkinchie.